Not only in spring the elderberry bush presents us with heavenly scenting blossoms which you can perfectly use for syrup. Now, in late summer, at every walk we take we pass bushes fully laden with dark violet, almost black elderberries, ready for harvesting. They have a very special, tart and wild taste and additionally, they are very healthy. The berries contain a lot of vitamin C and A, iron, zinc, and various trace elements. 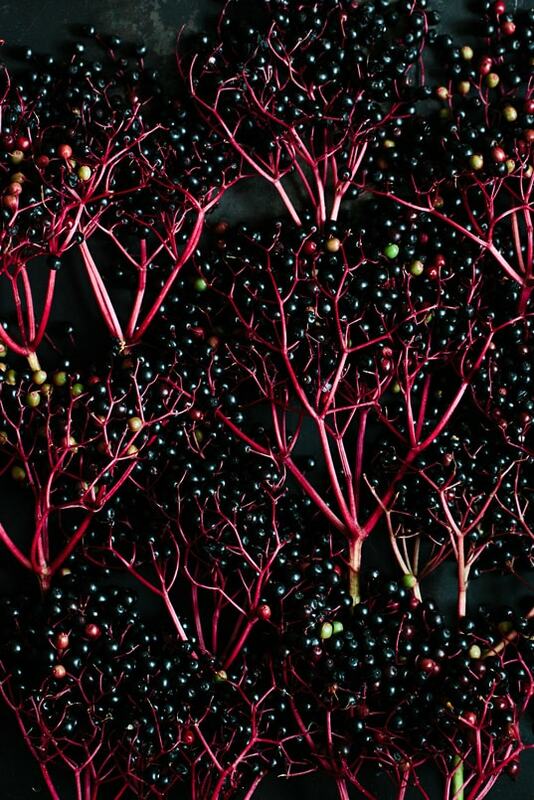 In the Middle Ages, elderberries were adored, and even today the berries’ healing powers are well known. However, it is crucial to not eat the berries raw. Beside all their health-promoting aspects, the berries contain a weak toxic substance, which disintegrates only when heated and this way loses its toxic impact. 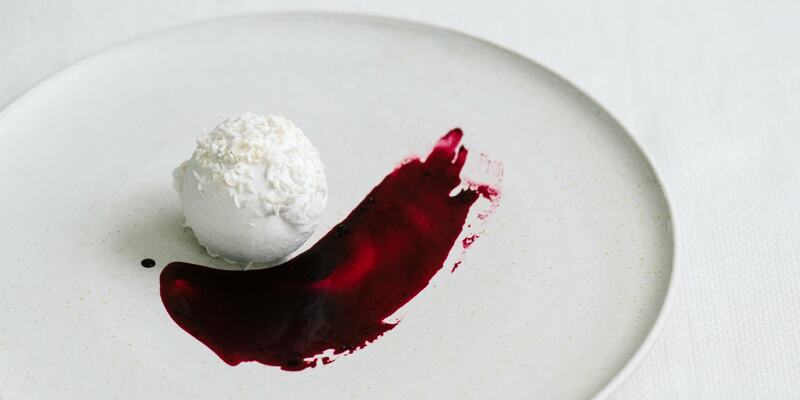 We want to round the elderberries’ tangy taste with coconut ice cream. For that it sits pretty beside the healthy syrup we chose the probiotic version made of coconut kefir . Sound almost like a panacea for dank autumn days. The magnificence about this is: it tastes absolutely gorgeous. Take your spoons, set, go! 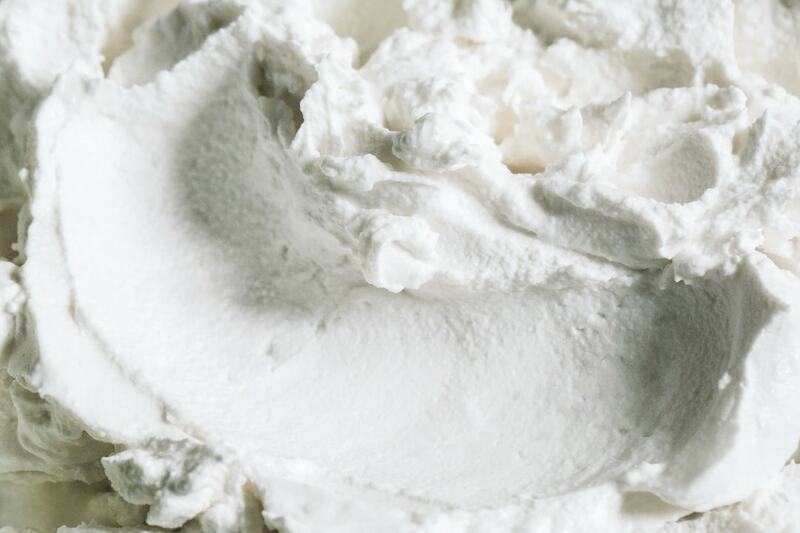 Sweeten the coconut kefir with rice syrup to your own taste and fill it in the ice cream maker or into a metal bowl in a freezer. Keep stirring every now and then to keep the ice cream creamy. If you own a high performance you can skip the stirring and just blend the ice cream until fluffy just before serving. 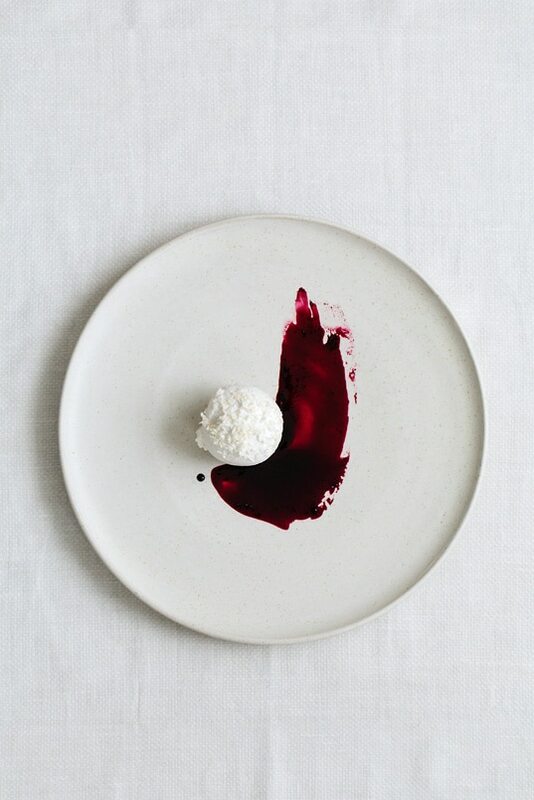 Give the desiccated coconut either to the ice cream, or decorate the ready ice cream before serving. Cook the elderberries in the water and let them simmer for 15 minutes. Afterwards, strain the berries through a cloth and press them well. Peel and slice the ginger, and open the cardamom pods a bit. 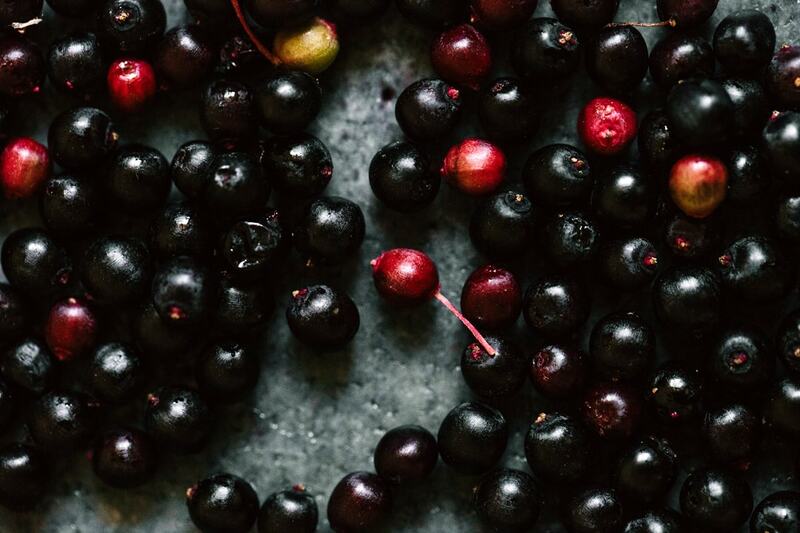 Now, cook the elderberry juice with ginger, lemon juice, cardamom, and maple syrup for about 20 minutes, until it turns syrupy. Let it cool down, and either marble the ice cream directly with it, folding it in, or you serve it as a sauce with the ice cream. Meinem “Vorschreiber” Markus möchte ich gern beipflichten, Postkarten finde ich grandios!! !